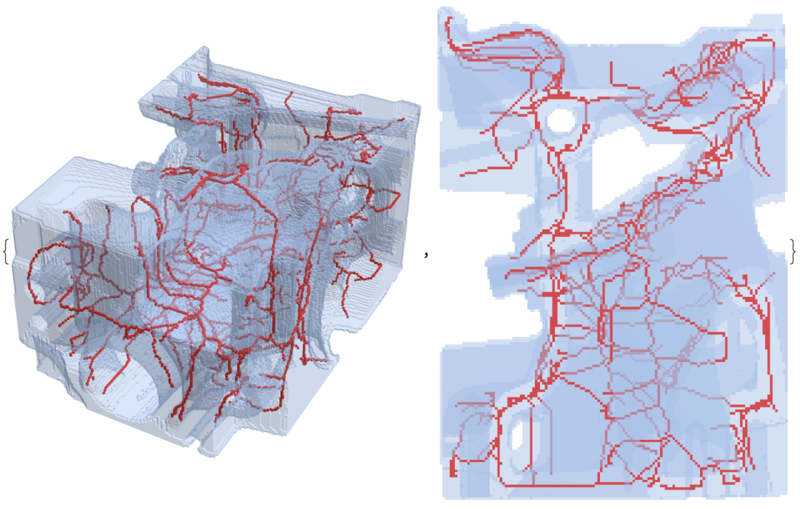 Here I will explain how to perform 3D Thinning with Wolfram Language. Though I will admit there's a lot of room for improvement. the medial axis of a 3D object as the singular (or non-manifold) edges of the medial surface. The main idea of this answer is that for a sufficiently dense sampling of points on the boundary of a volume, the vertices, edges, and faces of the Voronoi diagram gives an approximation to the medial surface. Since OP is interested in lines, I will use this to find the medial axis. 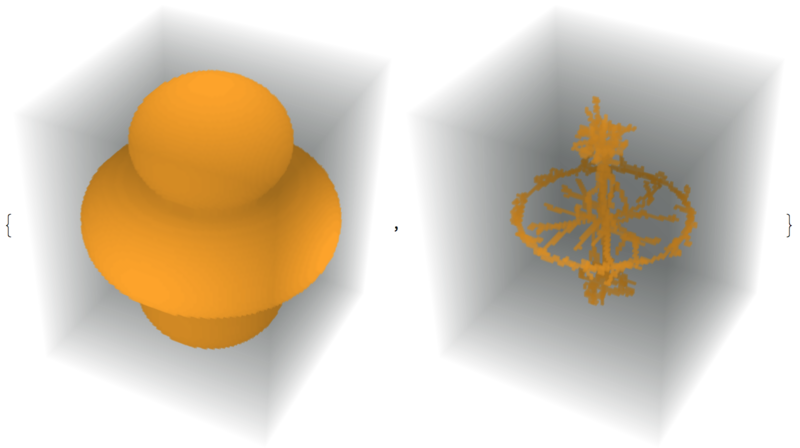 The following function takes in a binary Image3D object, converts it into a BoundaryMeshRegion, approximates the medial surface, finds the approximate medial axis, then converts back into an image. 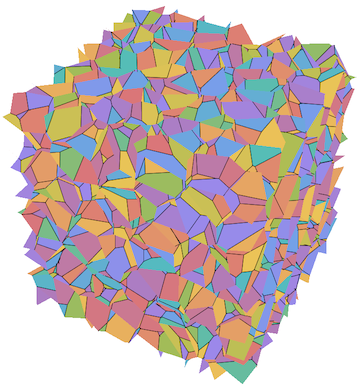 To approximate the medial surface, I simply take the Voronoi faces completely contained in the object. We can see there are some heuristic parameters. I haven't found a way to automatically determine appropriate values. Note too that this routine can be slow. I think there's a lot of room for improvement. 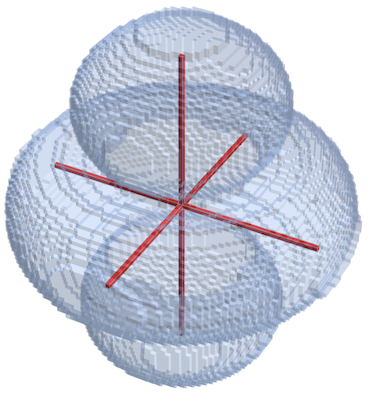 Based on papers of Amenta and Attali, a better approximation can be found, but we need to be able to find intersections of spheres efficiently. 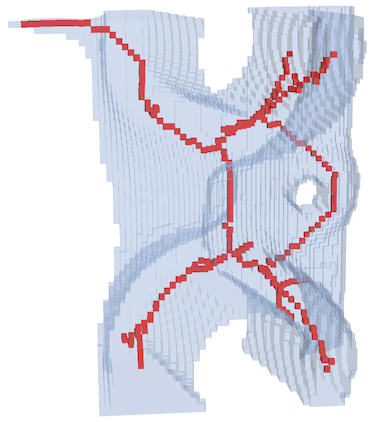 One approach is to apply a topology preserving morphological thinning method. I'll implement an algorithm by Lee. 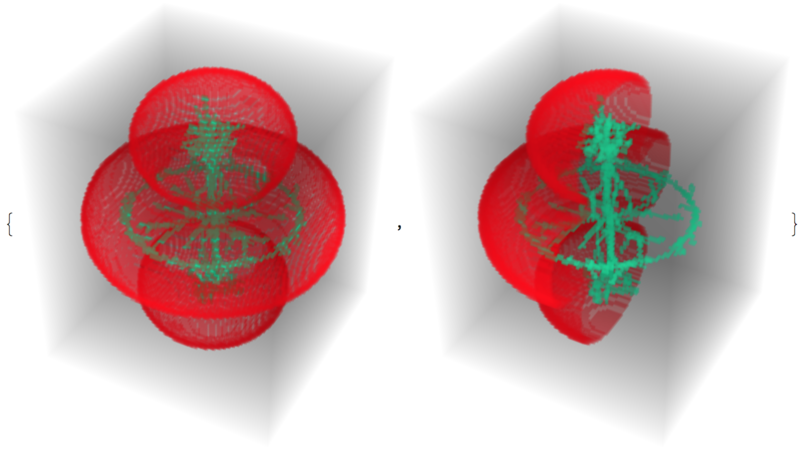 The main idea is to look at every 3x3x3 cube in the image and to decide which pixels are valid to delete. 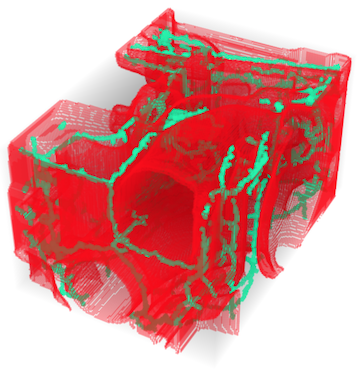 For the most part I stuck to his approach, except I did not implement the function Octree_Labeling. It's wildly recursive and Compile does not allow for recursion. Instead I took a transitive closure approach. - Congratulations! This post is now a Staff Pick as distinguished by a badge on your profile! Thank you, keep it coming, and consider contributing your work to the The Notebook Archive!